March 7, 2019 | Priscilla Chan, Co-Founder and Co-CEO, and Sandra Liu Huang, Education, address students at HBCUxSXSW on the vital importance of creating more access to opportunity. Editor’s Note: Austin, Texas, hosts one of the nation’s largest and most diverse meetings of the minds in March. This year marked South by Southwest’s (SXSW) 32nd year, and each conference just seems to grow in size. 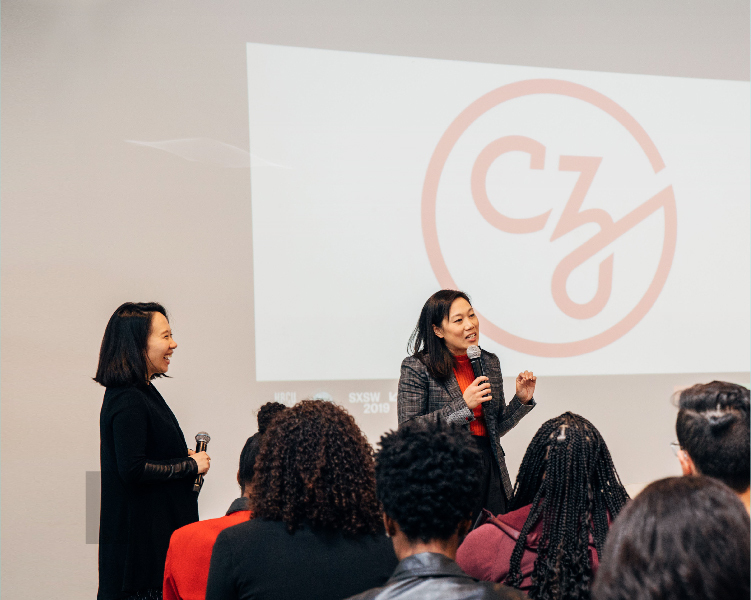 CZI held several memorable EDU sessions and a main conference featured a talk by our Co-founder and Co-CEO Priscilla Chan. We caught up with Priscilla and our Head of Education Sandra Liu Huang after the event to find out what SXSW highlights they can’t stop talking about. Brands and organizations often use SXSW as a platform to talk about trends in education, innovation, and tech. Which trends inspired you? Little by little, we’re seeing more women, people of color, people with disabilities, and formerly incarcerated people representing important roles within tech companies. especially given the varied and extensive needs of many students within a busy classroom. Teachers have been tackling these challenges and putting these ideas into practice for years, but it was encouraging to hear the discussions in a more mainstream setting. Priscilla: I’m inspired by the actions and conversations to facilitate greater diversity in tech. Little by little, we’re seeing more women, people of color, people with disabilities, and formerly incarcerated people representing important roles within tech companies. I thought the conference did a nice job in addressing the importance of diversity, especially across selected speakers and session topics. It also wasn’t lost on me that my session happened to be on International Women’s Day. There were so many important sessions led by women, like Maria Shriver’s on Alzheimer’s Disease and Kimberly Bryant’s on changing the face of technology. 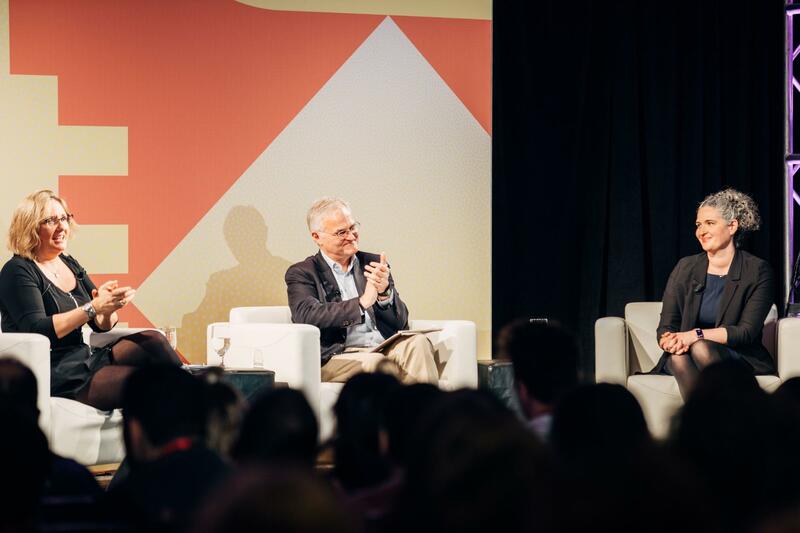 March 7, 2019 | Bror Saxberg and Brooke Stafford-Brizard, Education, sit down with Betsy Corcoran of Ed Surge at SXSW EDU to discuss how to translate research on learning science and the whole child into practice in the classroom. What was your big takeaway from Brooke Stafford-Brizard (Director, Whole Child Learning) and Bror Saxberg’s (Vice President of Learning Science) keynote? In order to serve students well, we need to support teacher wellness and development, too. Sandra: In order to serve students well, we need to support teacher wellness and development, too. Adults are learners and have complex cognitive functions just like students — we should be investing in that development for our educators. We can, and need to, implement the same frameworks and ideas that we use to support students to also support teachers’ well-being for the impact we hope to see. Priscilla: Learning is not one-size-fits-all. Students (and teachers) each have their own set of needs. Historically, I think people believed using learning science and taking a whole child approach were two separate things. Research is telling us that we can create better learning environments when the two work together. What was your favorite highlight from the week? Sandra: The biggest highlight was being surrounded by teachers, school leaders, researchers, and advocates with deep personal connections to the work and deep convictions for improving the future for others. It was an uplifting experience to be around so many people who’ve dedicated their lives to advancing learning and improving outcomes for our kids. Priscilla: How do I choose just one? I’m so impressed with our team’s presence. They hosted at-capacity featured sessions, workshops, and panels with educators on everything from bringing learning science in practical ways into the classroom, to sharing how teachers are using tech as one tool in order to deliver more tailored experiences to students (via the Summit Learning Program). This year, there were more and more conversations happening around both learning science and taking a holistic approach to each kid’s academic, emotional, social, and physical needs — both are close to my heart and our work at CZI. How do you connect CZI’s mission in education with what you learned at SXSW EDU? Sandra: We need more ways for great ideas to come into practical use for more teachers. Brilliant things are happening in certain places, but there’s eagerness for more equitable access and broader availability of these tools and resources. The Summit Learning Platform, for example, helps teachers and schools all over the U.S. personalize instruction so it’s increasing access to what we know is a key method that helps students succeed. I also came away feeling even more strongly about one of CZI’s internal values — of staying close to the work. We have much to learn by being out in the field and connecting with practitioners and researchers alike. Priscilla: I learned that people feel inspired by the idea of collaboration to define the future of education. In some cases, they’re just not sure how to go about putting that into action. This reflects CZI’s own approach in helping bring engineers, researchers, and teachers together in service of learners to create meaningful solutions for the classroom. Of course, SXSW is just as much about the fun as it is the education! Any anecdotes to share? Sandra: When I first arrived, I saw a little kid wearing a SXSW lanyard. I thought it was cute that his parents had brought him and were letting him feel like part of the conference. I soon learned it was Nate Butkus, an 8-year-old science podcaster, and he was a speaker! He’s from Chicago and super inquisitive and wise beyond his years. Priscilla: Austin was fabulous. I know all the cool kids have been coming here for years so it’s safe to say that I’ve always felt a little SXSW FOMO. It was so fun to experience the colorful murals, live music, and food trucks. It was also great to reconnect with CNN’s Poppy Harlow for a Q&A session on everything from criminal justice reform to diversity in tech. Offstage, we talked about the joys and challenges of being moms to young toddlers, who follow us everywhere (even the bathroom! ), and reminisced onstage about how we had also first met in a women’s restroom. We were both changing in the stalls before an interview we did last fall and walked out at the same time to wash our hands. True story!